Welcome all Wilson, NC property owners. 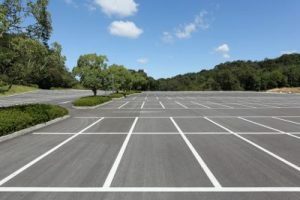 Unlimited Professional Services provides professional parking lot pavement marking, repair and striping services to give your Wilson NC property a terrific first impression that will impress your customers while providing safe and code-compliant parking areas. Our Wilson NC parking lot striping professionals use only high-quality painting equipment and traffic marking signage. We ensure that all parking lot surfaces are properly prepared to ensure the best endurance and adhesion. Sealcoating applied to an asphalt parking area in Wilson NC provides an effective barrier or seal between the elements above the sealcoating and the asphalt surface below it. Below the surface the sealcoating stays on the moist side which makes it pliable and as a result, resistant to cracking. Unlimited Professional Services offers sealcoating services to asphalt parking lots in the Triangle region of North Carolina. We provide sealcoating parking lot services to commercial and industrial customers, and we specialize in sealcoating parking lots and commercial driveways. What good is a cheap striping job in Wilson, NC if it only lasts a few months when a quality striping job can last up to two to three years? What good does a line striping job that is inexpensive do you if you end up paying large fines from hiring an inexperienced striping contractor just because of their low price and if your parking lot line striping isn’t within code? Worse… what good is a cheap parking lot striping or pavement marking job if the contractor simply rips you off with a job that lasts just a few months? Call Unlimited Professional Services today for more information or to request an estimate for professional parking lot striping. To put it simply, Unlimited Professional Services is focused on excellence in the repair and care of concrete and asphalt. Our expertise in the Wilson NC region gives us a distinct advantage in Wilson and allows us to provide various associated services all while providing the highest standard of excellence accessible. With the demanding standards and specifications of the industry as it stands today, Unlimited Professional Services complies with the city and state regulations as needed to ensure the best outcomes for your own job. Our customers satisfaction is our primary concern. We’ll make sure your parking lot is in conformity with today’s local ADA codes. When your asphalt is properly maintained it will last for many years. 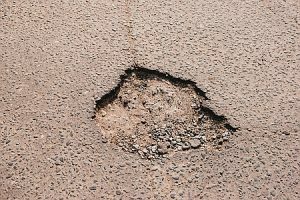 We suggest that asphalt have a seal coating applies every two to four years and that pot holes and crevices be addressed early. It’s hard to ever truly be ready for a snowstorm, especially down here in the south where we just aren’t all that use to it. As beautiful as a nice snow is, it can and usually does cause so many different problems. If you need to get your parking lot and Wilson storefront areas cleared of snow so that you can open up, we’ve got you covered. Trying to remove the snow yourself can take hours on end and you’ll probably only make a dent. We can get you cleaned up and ready to go in a very reasonable amount of time! So, when you’re snowed in and need help, call Unlimited Professional Services!